Jesse lands a hungry BFT on day one! The corner is where the action’s at! Gate closing seminar at the rail! It takes a village. This is what a great day looks like! Bill Couts senses jackpot magic with this one! 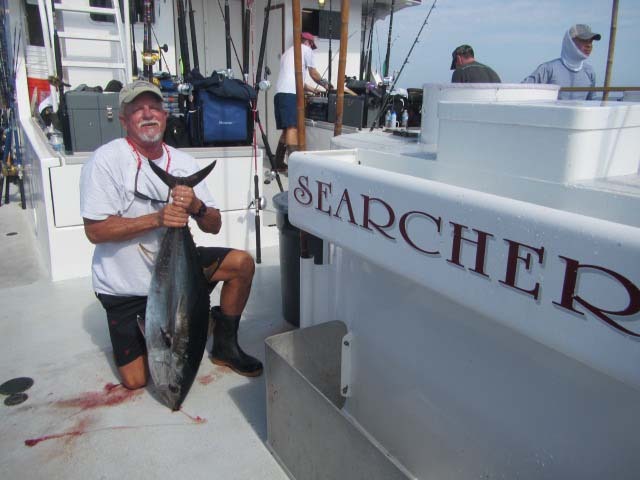 It’s a big bluefin jackpot for trip 22!